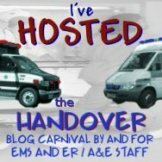 National EMS Week – What are you doing? Well, here we are again, over the other side of the Atlantic, left out of all the fun, only able to look in from a distance via chatrooms and live streaming. I love the fact that America has a national EMS week, to recognise the work of EMS providers throughout the country. Can you ever see that happening in the UK? There are many events going on across the States, but one that stands out from the rest (and not just because it has something to do with the Chronicles of EMS, honestly), is the multi city premiere of ‘FireStorm’ on Sunday May 16th, a new documentary about the state of the Los Angeles EMS System. This really does look like a fascinating insight into the difficulties that the city has trying to cope with the demands put on the EMS and ER systems. The film is directed by Julie Windkur and the event is all being brought together by non other than my esteemed producer/director of the chronicles of EMS, Ted Setla. What makes the whole thing unique though is that it is also encompassing a three city meetup at the same time with live streamed events throughout the evening. This is your chance to be part of it too, even all the way over here in the UK. and Philadelphia’s is at Fado’s Irish Pub, 1500 Locust Street, 8pm. Unless my workings out are wrong that makes it 2am GMT on Monday morning, 17th May, woo hoo! I hope it all goes amazing and I wish I were there, maybe next year though. Happy EMS Week to all my US friends! « Just for a giggle!